Want to delight your kids? Serve them a super healthy popsicle for breakfast as the school year starts to wind down and the temperature cranks up. 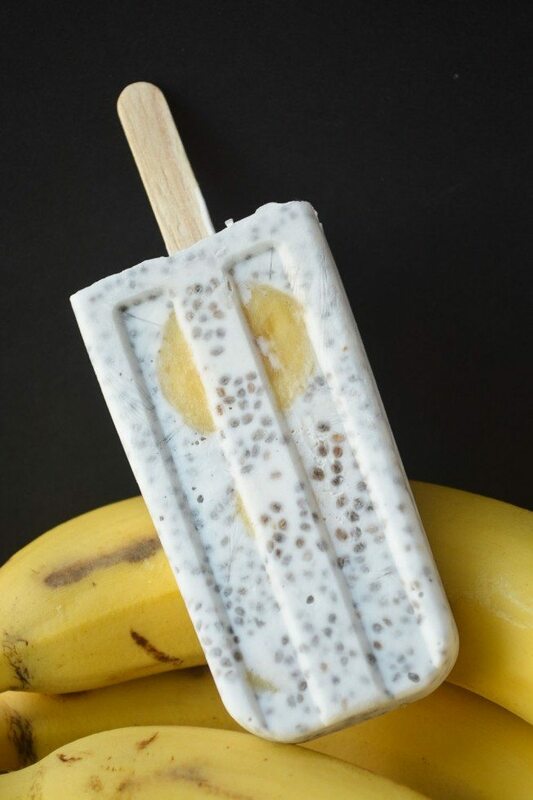 Chia seeds give these pops some fun texture, and a little healthy boost — not that they need it — there’s nothing else in them but fresh bananas and coconut milk so they are already plenty healthy. And creamy, and refreshing, too. 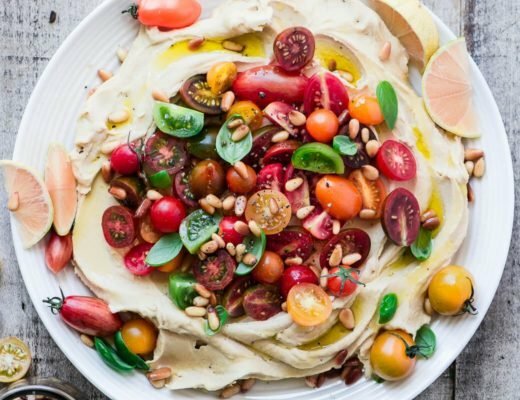 Load them up with as many different kinds of fruit as you can think of, like berries, kiwi, pomegranate seeds, grapes, the sky is the limit, and it can be a great way to use up fresh seasonal fruit before it spoils. The bananas are especially nice because they retain their creamy texture even when they are frozen. I used raspberries, below, which had wonderful flavor. These can be made with just three ingredients — coconut milk, chia seeds, and the fruit of your choice. If you like you can sweeten them with a little sugar or honey, and a little vanilla or almond extract. Personally I think that the fruit and coconut milk are sweet enough on their own. My taste testers were divided on the subject, so go with your instinct. The thing about coconut milk is that it doesn’t get as icy as milk or juice based pops do. It freezes solid, but then melts in your mouth easily, so you’ll get a creamy texture if you decide to bite into your pop. Coconut milk popsicles won’t drip like others do, either, which can be a benefit with little ones. 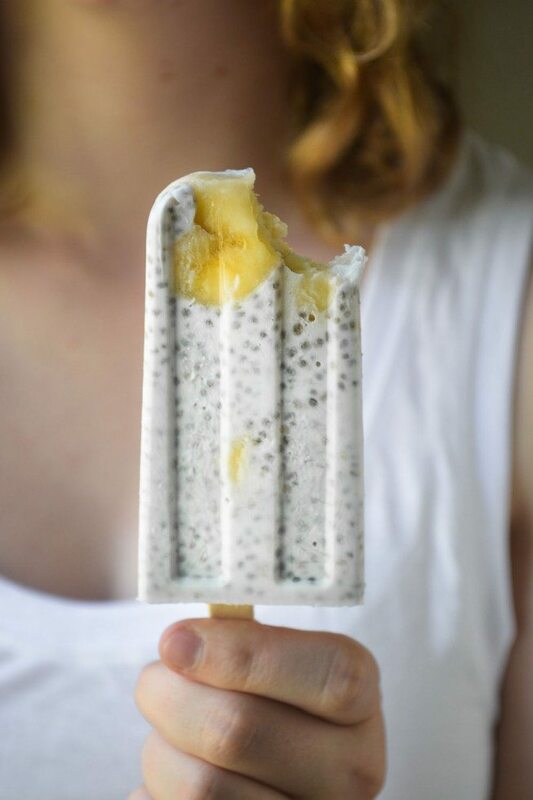 Don’t forget to pin these Chia Coconut Pudding Popsicles! Stir in the chia seeds and let sit, stirring once or twice, for about 30 minutes, to allow the seeds to expand. Add a little bit of the coconut mixture to the bottom of each of 5 popsicle molds. Continue adding more coconut mixture, then more fruit until the molds are almost full. Rap the mold firmly against a hard surface to encourage the pudding to fill all the nooks and crannies in and around the fruit. Top off the molds if there is any room in them. If you want to save the pops for later, wrap them in waxed paper and place in zip lock baggies. Hi im interested to try your recipe ? i would like to ask about the storage life of the recipe? Ended up only using a tablespoon of chia seeds, 1/4 cup just seemed like too much. Ended up only finding coconut milk so I went with that. Used raspberries, peaches and blueberries for fruit along with some liquid from raspberry jam that we had. Did that due to thinking we had more raspberries in our patch than I could find! In the freezer now, looking forward to these as evening snacks. Thanks for the idea and recipe. Do you think it would be too hard to eat if I use frozen berries? or is it better tu use fresh ones? The berries will freeze anyway, so I think you could use frozen ones, Erick. Where or what mood do you use- love the lines. Hi Andrew, I link to the mold I use right under the recipe! Do you have to use the coconut milk in the can? Or would the coconut milk in the cold cartons work?? 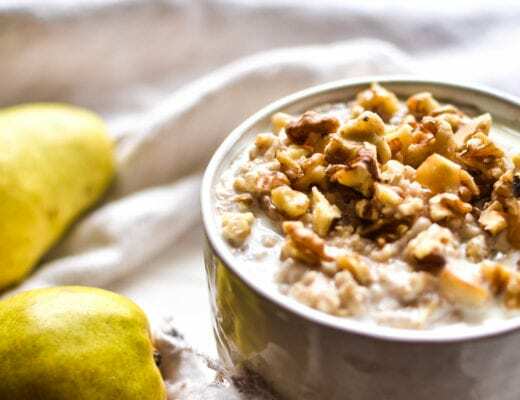 As long as it’s coconut milk, and not coconut water, it should work, but be aware that the cans tend to have a thicker and richer consistency. You mentioned that this would freeze pretty hard if you put it ramekins. Can you think of any food that could be added to make it softer? Gosh, I’m not sure, Lyla, i didn’t experiment with these. The creamier the coconut milk the better, so maybe if you used coconut cream and chopped or mashed the banana? Loved this! Thanks! I added matcha & unsweetened shredded coconut. Delish! Hey, I’m doing a school project and i would love for your recipe and photos to be featured in it. All credit will go to you and your website will also be featured for others to check out. Thanks so much LeSharn! Let me know how it goes for you! Could you just freeze the mixture in ramekins or something and eat with a spoon or would it be too hard once frozen? It would freeze pretty hard, I’m afraid Josie! 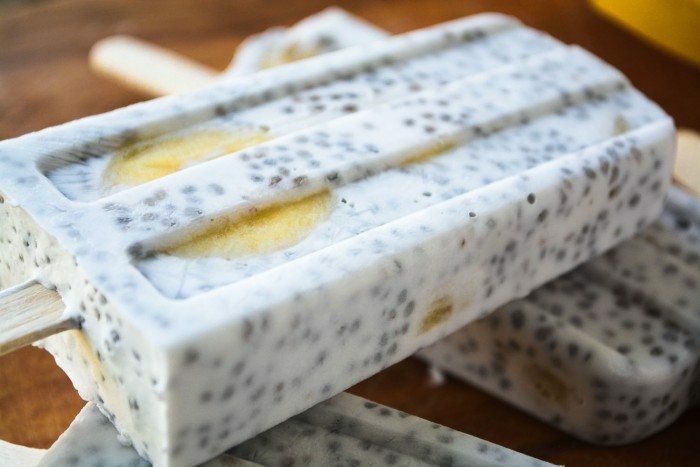 I’ve made chia pudding before but I love how you’ve reimagined it into popsicles! So creative! 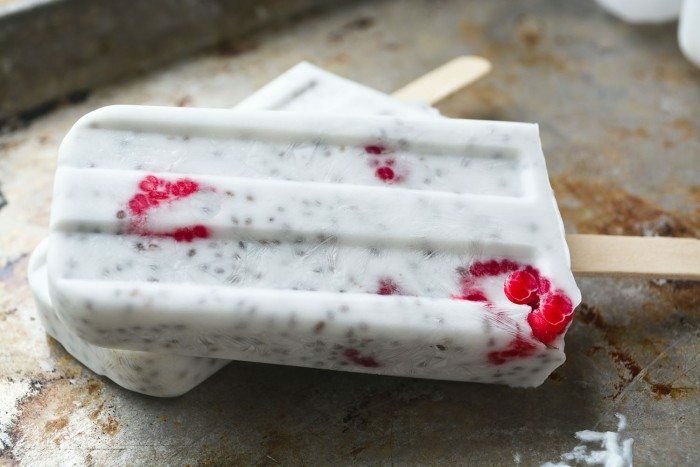 I just put a batch of these in the freezer, though I’m doing the Candida Diet so no fruit. If the mix is anything to judge by, I can’t wait for them to be done. Yum! Can’t wait to try these! I picked up a 4 pack of some “healthy” pops & put them back because I knew I would find a great receipe somewhere that I could put whatever I liked in them. Your receipe is perfect! Not to mention, making them yourself for 1/2 the price or less than what they charge in the stores. Plus, no additives! Thank you! These look so good! 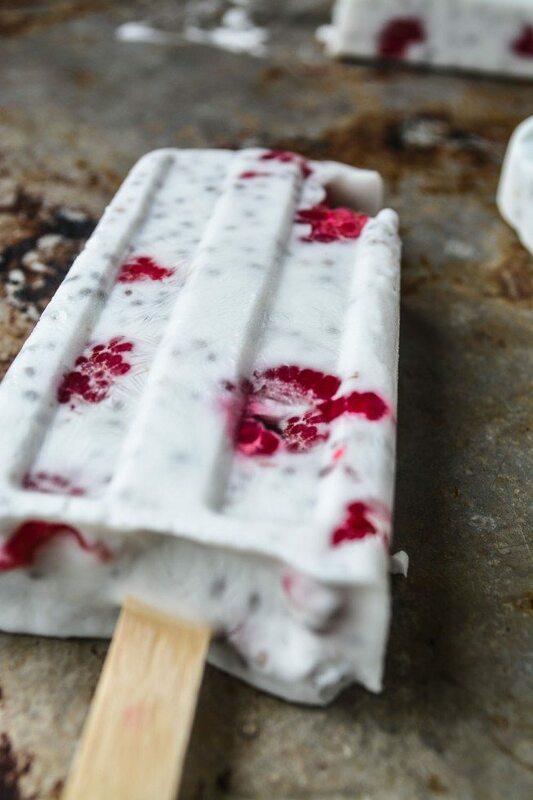 I am used a bag of mixed frozen berries and added raw cocoa nubs to the tip of the popsicles! Can’t wait to try one for breakfast tomorrow. Thank you! Most canned coconut milk is in the Isle with the canned milk like sweeten condensed and evaporated milk also u can find it in the Asian food Isle…I’ve been getting mine at the Dollar Store when they have it for a buck…it’s total awesome. 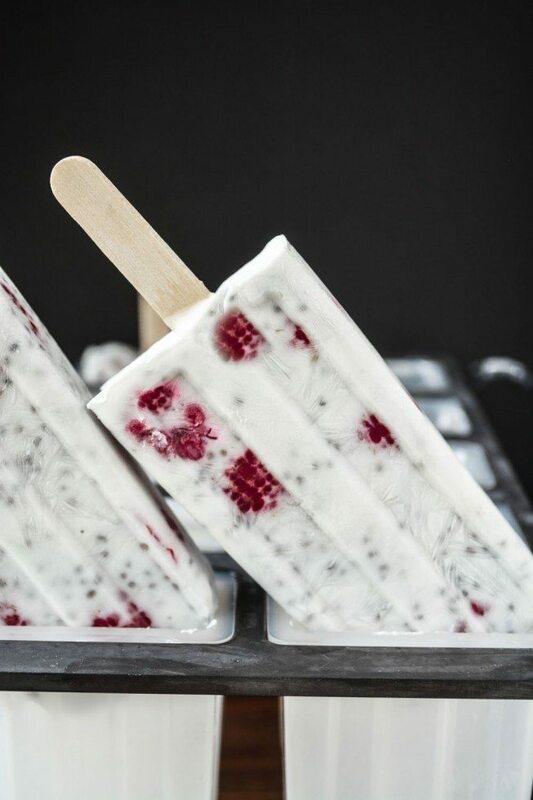 Love coconut milk. .
I’ve been known to sneak a popsicle for breakfast when the temps hit triple digits here in July… so glad I now have a healthy pop to justify my choice ;). Love those pretty raspberries peeking through! I want to go to popsicle school at your house Sue. These are spectacular. You come up with the best popsicle ideas. Well, actually the best ideas for everything! What a pretty popsicle! Love the splash of fruit color poking through some of them. Really creative recipe — thanks. the perfect adult popsicle EVER! I mean kids can have it to but boy it screams for moms out there! That raspberry pop is gorgeous – they are all pretty but those little balls of tartness look amazing! Hope you’re having a great time with your dad – soak up some sun for me! Oh my goodness.. How fun are those? And for breakfast? Awesome. I have a quick question,. 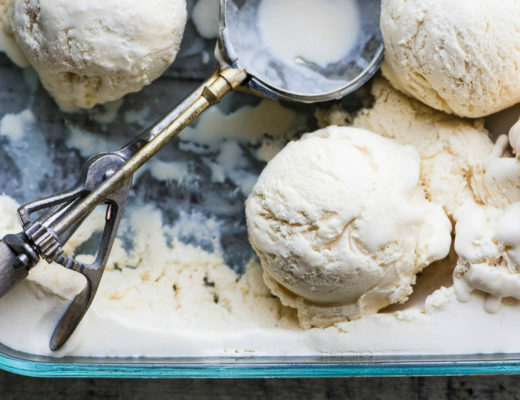 Are there different kinds of coconut milk? I thought it came in a can, which you mention, here. I looked for it in my local supermarket, and all I found was cartons of it in with whole milk, buttermilk, etc. I’m confused. Any help would be greatly appreciated. Love the pictures! They look so yummy! Haha — I find they get soft and sort of ‘boba’like’ after they’ve soaked. Popsicles for breakfast!! I like the way you think.